Don't get me wrong, I do love shopping for cute things, clothes, cosmetics, perfumes, and kitchen stuff (last one pleases me the most as there's no fit-don't-fit dilemma). The question is "how much one person or one family needs?" Or, how much can fit in my budget? And the decision making question: how much can fit in my home? Usually, all those questions are followed by a comforting my mind statement: I lived without it for so many years, so I can live without it for another few years... On that happy note I usually leave the store. My rare moments of shopping therapy are most of the time just window shopping: Coach for a little luxury, Nordstrom to try a few pair of designer shoes, a new make up and a perfume spray on my wrist, and I finish my "shopping" extravaganza at Williams Sonoma... an eye candy. Then Lisa decided that I deserved a "small surprise" for "babysitting" her teenager, house cat sitting house sitting, and fish sitting. 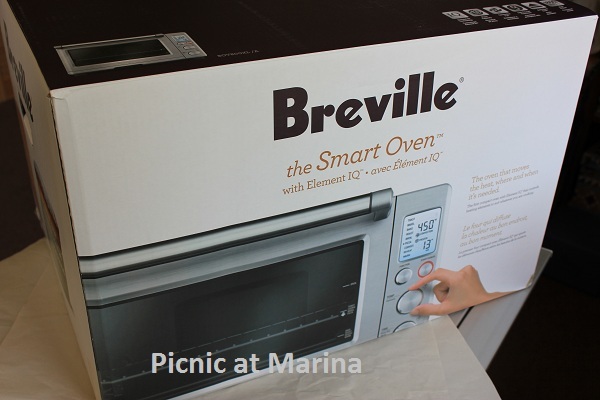 And a surprise it was: a Breville smart oven! I was humbled, and very happy at the same time. Munching on a future recipes in my head, I came home with a big box.After following a few steps to prepare the oven before first use, I started baking, roasting, grilling, toasting, broiling...And so far I love everything that comes out of the oven, except when I burned a toast - I didn't realized how fast it cooks! 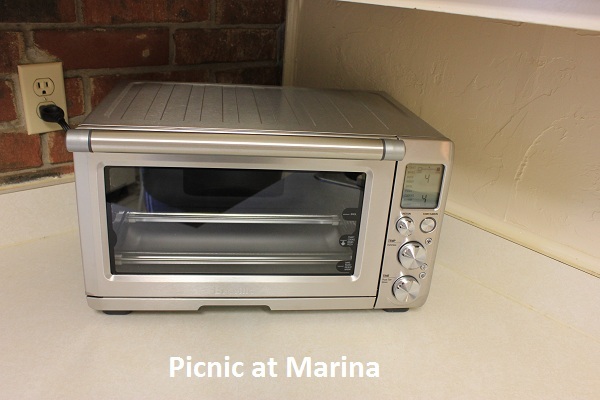 It's a big step forward from what I am used to, and no wonder it's called "smart oven" with all that IQ and everything. My oven found it's home on the kitchen counter top, and each time I use it, or even look at it, I think with a warm smile and a deep gratitude of my friend. and most of all, for your gift of friendship and happy times! Love the present, most thoughtful! I lost interest in shopping some time ago. I guess I reached the breaking point when enough is enough...:) But I still love kitchen stores, and shoes! Cool gift. I sometimes enjoy shopping but most of the times I hear my mother in my ear saying "what a waste of money" and somehow that spoils it. This gift means that your friend really appreciated what you did for her and this is really important Marina! Most of the times people take for granted other people or the things we do for them! Congratulations to you for your new oven, many happy bakings, but most of all congratulations for your friend! That's a great little oven you received! Yes a really nice gift! I am not shopaholic too. The only thing I really enjoy buying is food! We really could go without buying clothes and other accessories for a long time! Pretty amazing I much people spend and buy things they don't really need! Fortunately, I'm largely (but not entirely) without the shopping gene. Buying food is the one area where I go out of control. After you've used your new gift for awhile, I'd be really curious to hear how you're liking it. 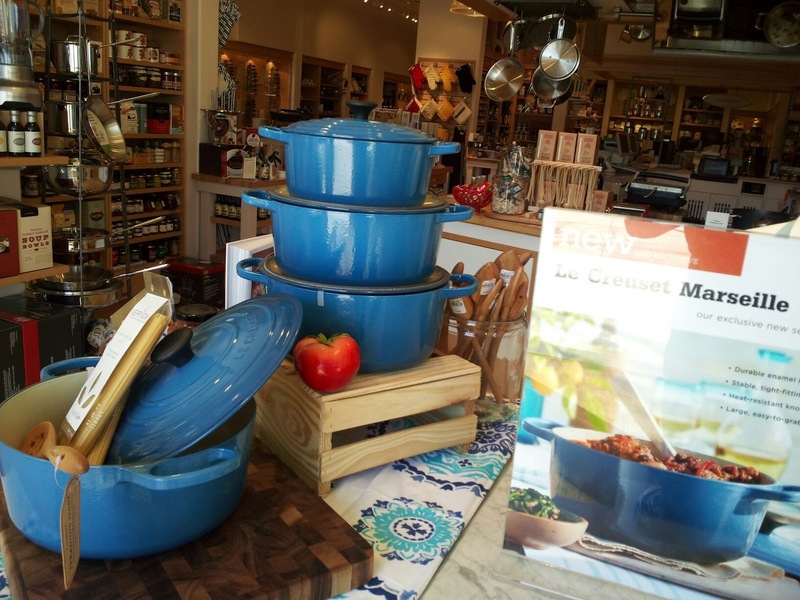 I've sometimes thought of buying one of these for those times when we need an extra oven. I'd never install a second oven because almost all the time one is enough - and we don't have the room. But sometimes it'd be really convenient, and the Smart Oven sounds like a terrific idea. Good post - thanks. Very cool Marina, looks like fun! A very thoughtful friend you have. Friendship is a two way street and you and your friend have demonstrated that. Your smart oven looks cool. One question, does it self-clean? The above comment at 2:58 PM is from me, don't know what happened. :) no, Norma, it doesn't self clean but it is very easy to wipe. Since I started to use cash while shopping, my waste in the kitchen is very small. :) I use to buy a lot of food too. :) I am happy you are happy! Wow. What a thoughtful friend and a terrific thank you gift. Your warm comments put a smile on my heart. Copyright © Picnic at Marina 2011-2015. The whole content of this pages are sole property of the author (otherwise it is linked to the source) and can not be used without a consent. 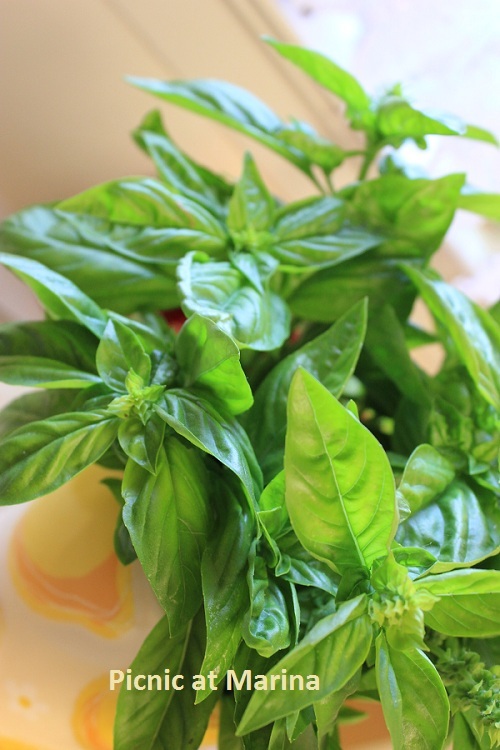 Please, e-mail me: tomatomarina@gmail.com to ask questions. Disclaimer: This website documents my experience only. Use of the website content is provided without warranty of any kind. User discretion advised. 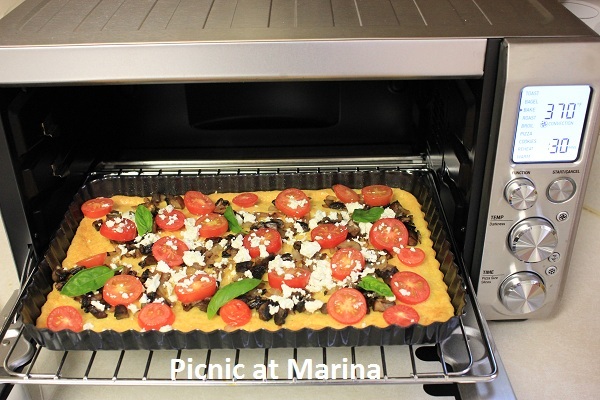 Copyright@Picnic at Marina All rights reserved.. Simple theme. Powered by Blogger.